Sacred Ground: Please respect this memorial. 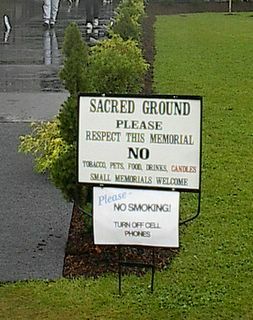 NO tobacco, pets, food, drinks, candles. Small memorials welcome. Please, no smoking! Turn off cell phones.